Zain Saudi Arabia has started taking pre-orders for the iPhone 5 scheduled for release next Thursday December 13th. 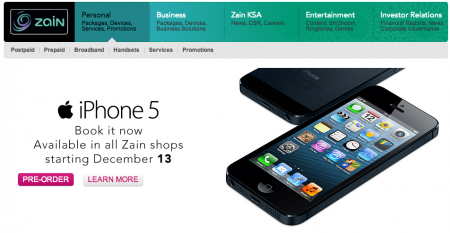 Zain’s 4G LTE network is the only network that currently supports the iPhone 5. To begin the pre-order process visit Zain’s website. Zain also launched the iPhone 5 website. 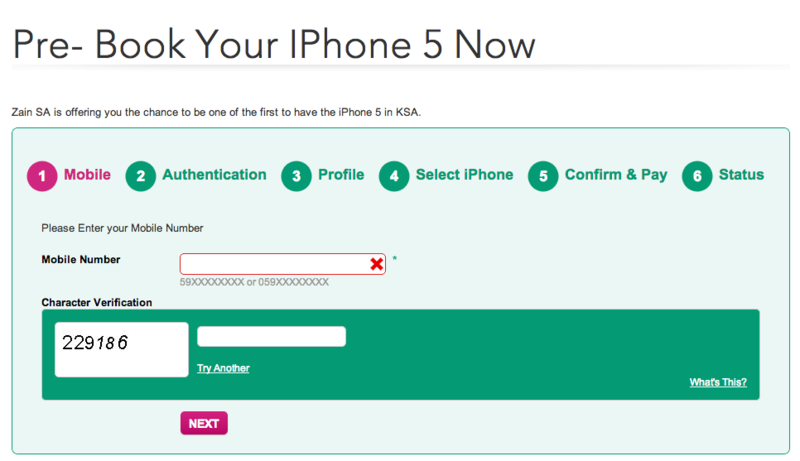 As with all Saudi-issued iPhones, FaceTime will be disabled.